Description: Make time to visit the Elves Workshop on Saturday, December 15! 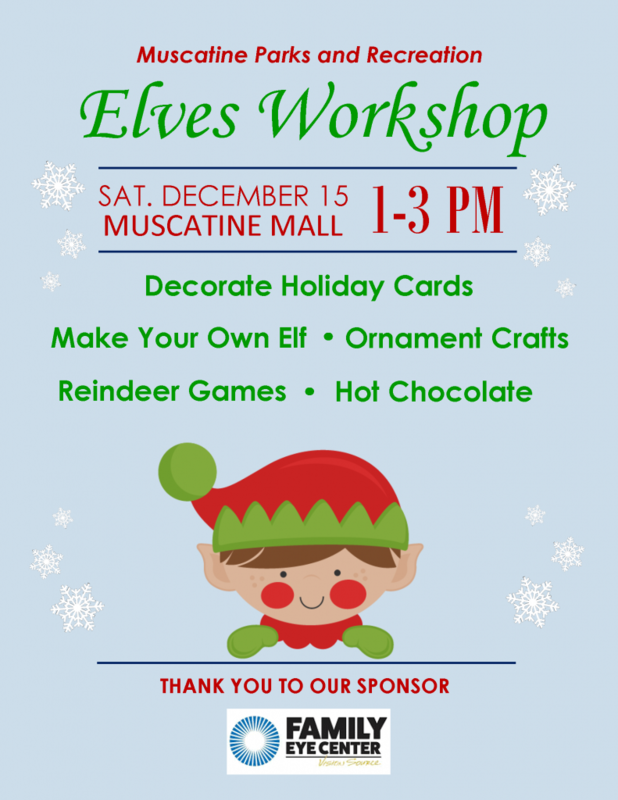 Decorate holiday cards, make your own elf, create Christmas ornaments and join in the Reindeer Games from 1:00 – 3:00 pm in the Center Court of the Muscatine Mall. Join Muscatine Parks and Recreation for this free family fun!